Sphincter of Oddi though mostly heard about in 'anatomy textbooks' is making its way into surgical practice due to various disease states affecting it and its dysfunction seems to be an important condition to be observed while treating patients with abdominal pain. In this review, we have attempted to discuss all the relevant conditions affecting it, particularly the dysfunction with a detailed literature review. Background/Aim: Vitamin A deficiency is known to be associated with night blindness. Plasma retinol binding protein (RBP) estimation highly correlates with plasma retinol concentration to predict vitamin A status. Serum RBP estimation is reasonably simple, inexpensive, and highly applicable in less technologically developed settings. We studied the correlation of plasma vitamin A levels (by RBP estimation) and ocular manifestation in patients with liver cirrhosis. 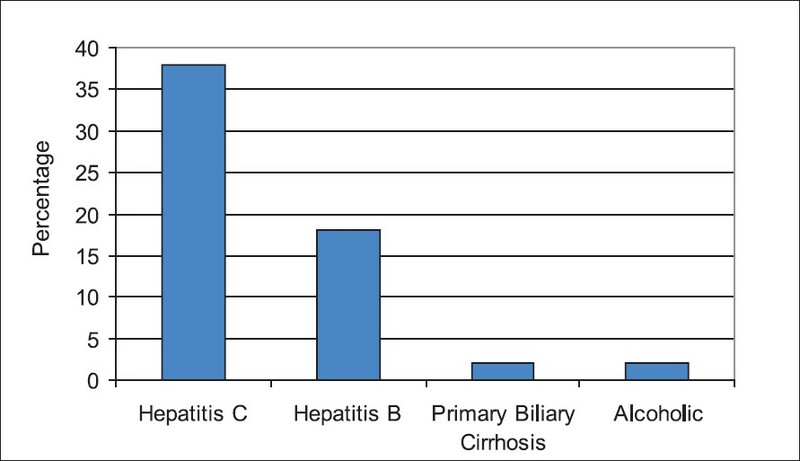 Materials and Methods: This prospective, cohort study included 137 patients with liver cirrhosis. Ocular manifestations in these patients were recorded along with detailed history and clinical examination. Blood samples after overnight fasting were measured for RBP levels. The characteristics of cirrhotic patients with and without eye findings were compared. Results: Out of 137 patients, 55% were males. The causes of cirrhosis were hepatitis C virus in 61%, hepatitis B virus in 32%, alcoholics in 3%, and primary biliary cirrhosis in 3%. Ocular manifestations were found in 47% patients. RBP levels were found to be low in 44%, normal in 40%, and relatively high in 16% patients. Low levels of RBP compared to normal were associated with opthalmological findings of hypovitaminosis A ( P < 0.001). Conclusion: The measurement of plasma RBP as an alternative to serum retinol estimation to detect relative hypovitaminosis A is simple, easy and reliable. Vitamin A level is strongly related to the severity of liver disease. Opthalmological manifestations in patients with liver cirrhosis may be preventable by early detection of hypovitaminosis A with serum RBP level, but larger studies are required before recommendation of vitamin A supplementation. Background: Little information is available to demonstrate the importance of flexible endoscopic examination of the upper gastrointestinal tract in obese patients prior to the weight-reduction surgery. In spite of the controversies, there are more evidences to support the value of preoperative endoscopy. In this study, we aimed to evaluate the benefit of preoperative endoscopy in morbidly obese patients who have planned to undergo bariatric surgery. Materials and Methods: The medical records of morbidly obese patients who were admitted to our hospital from November 2004 to January 2007 and underwent flexible esophagogastroduodenoscopy (EGD) prior to the weight-reduction surgery were reviewed. The endoscopic findings and demographic data were recorded and analyzed. Results: Sixty-five patients underwent EGD preoperatively. The mean age was 34.6 years (range: 18-52 years), their mean BMI was 57 (range: 35-92) with a maximum weight of 280 kg. Majority were females (64%). 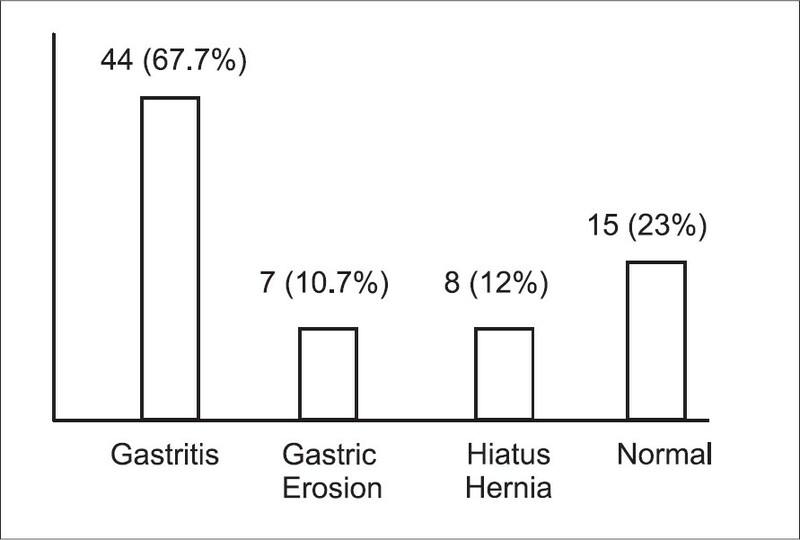 Endoscopic findings included gastritis in 44 patients (67.7%), hiatus hernia in 8 (12%), gastric erosions in 7 (10.7%), reflux esophagitis in 4 (6%) and normal EGD findings in 15 patients (23%). There was no significant increase in reflux esophagitis in this group of patients. Sixty percent of the patients had comorbid medical conditions with diabetes mellitus being the most common. Conclusion: These data suggest that it might be necessary to perform preoperative EGD in patients undergoing bariatric surgery, although it possibly will not alter the surgical intervention. Prospectively conducted studies with larger number of patients are required to further explore the need of EGD in this subset of patients. Background/Aim: Bangladesh is a densely populated country with intermediate endemicity for chronic hepatitis B (CHB). The aim of the present study was to evaluate the biochemical, virological and histological character of CHB patients and to examine the relationship between these indices. Materials and Methods: One thousand and twenty-two patients of CHB fulfilled our inclusion criteria. Inclusion criteria were (1) HBsAg positive for at least 6 months, (2) HBeAg-positive or negative and (3) hepatitis B virus (HBV) DNA positive. Patients with detectable antibodies to human immunodeficiency virus (HIV), hepatitis Delta virus (HDV) or hepatitis C virus (HCV), with previous antiviral treatment, overt cirrhosis and hepatocellular carcinoma, were excluded. Of these, 191 patients were randomly selected for liver biopsy and were evaluated for analysis. Results: In the 191 patients, male to female ratio was 4.6:1; age distribution was 26.5 ± 8.5 (mean ± standard deviation) years. One hundred and seventy-eight (93.2%) patients were under 40 years. Sixty-eight (35.6%) patients were HBeAg-negative, had less DNA load, and were significantly older, more fibrotic and cirrhotic ( P < 0.001). Correlation was not found between DNA level and histological activity. Histological activity was not correlated with ALT level in HBeAg-positive patients ( P < 0.001). Conclusion: CHB affects the younger population in Bangladesh. HBeAg-positive CHB was associated with more fibrosis and cirrhosis. Serum HBV DNA levels do not correlate with the severity of histological lesions in all patients. Evaluation by liver biopsy remains gold standard for taking decision of treatment. Background/Aim: To examine the validity of Ranson's criteria in the prediction of the severity of acute pancreatitis (as judged by the occurrence of complications) in a high-altitude area of Saudi Arabia with a predominant biliary pancreatitis. Materials and Methods: All consecutive cases of acute pancreatitis (AP) admitted to a tertiary care hospital over a two-and-half-year period were included in this prospective study. Ranson's criteria (RC) were used to determine the severity of the attack of AP, which was then correlated with the occurrence of complications. The validity of Ranson's score and that of each of its individual components was estimated. Using receiver operating characteristic (ROC) curve, new optimum values for these components were calculated and a new modified score was constructed. Results: Seventy-three attacks of AP in 69 patients formed the material of this study. Ranson's prediction criteria classified 43.8% of the attacks as "severe", but only 22% of those attacks were associated with complications. Calcium level (<8 mg/dl) was the only criterion that was significantly associated with complications (Kappa = 0.32, p0 = 0.02). Using ROC curve to determine the optimum cut-off levels for prediction identified only four criteria, which were significantly associated with complications as compared with the original Ranson's cut-off levels. Those were: a serum glucose value of ≥160 mg/dl ( P < 0.05), blood urea nitrogen rise of ≥35 mg/dl ( P < 0.02) and an arterial Po 2 value of ≤55 mm Hg ( P < 0.01), in addition to calcium value of <8 mg/dl ( P = 0.02) as originally set by Ranson. A new scoring system, ranging from 0 to 4, based on these cut-off levels, together with a calcium level of <8 mg/dl, could correctly classify the severity of AP. A total score of two or more points predicted a severe attack with a sensitivity of 88%, a specificity of 82% and a Kappa coefficient of 0.47 ( P < 0.001). Conclusion: This study showed that Ranson's criteria may need to be modified in high altitude with a predominant biliary pancreatitis in order to accurately predict the severity of AP. Background/Aim: This study is based on studying the quality of life and degree of satisfaction among gastroesophageal reflux disease (GERD) patients after Laparoscopic Nissen's fundoplication (LNF) operations. Summary Background Data: A GERD patient is most interested in symptom relief, whereas his surgeon will also be interested in the improvement of anatomical and functional investigations. Materials and Methods: One hundred patients with symptoms of GERD, adequate motility study and positive 24-hour pH studies underwent LNF in El-Mansoura Gastroenterology Center between 2002 and 2004. All patients completed the Gastroesophageal Reflux Disease-Health Related Quality Of Life (GERD-HRQL) questionnaire both pre- and postoperatively (early within 3 months after operation and late after 3 years). Furthermore, all patients were given a form with 4 grades (excellent, good, fair and poor) and they were requested to freely assess both the early and late clinical outcomes. Results: There was statistically significant improvement in all the items of the GERD-HRQL questionnaire, both early and late ( P < 0.001). With regard to patient satisfaction; only 58 cases showed excellent clinical satisfaction early postoperatively, while 29, 8 and 5 patients showed good, fair and poor responses, respectively. These figures improved on late followup ( P < 0.05), i.e., 76 excellent, 16 good and 8 fair results. Conclusions: LNF improves all the items of quality of life among GERD patients significantly ( P < 0.001). Patient satisfaction after LNF improves with time; 58 cases showed early postoperative excellent clinical satisfaction as compared to 76 late cases ( P <0.05). However, LNF may not be the standard management of reflux symptoms, particularly from some patients' perspective. 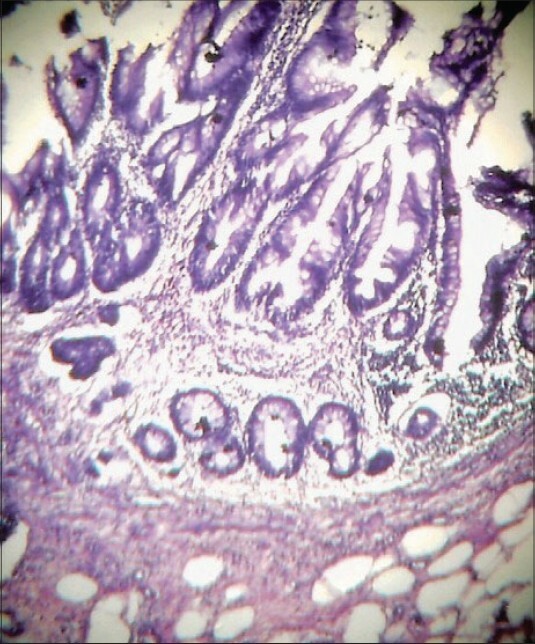 Pancreatic pseudocysts are relatively common complications of acute pancreatitis. 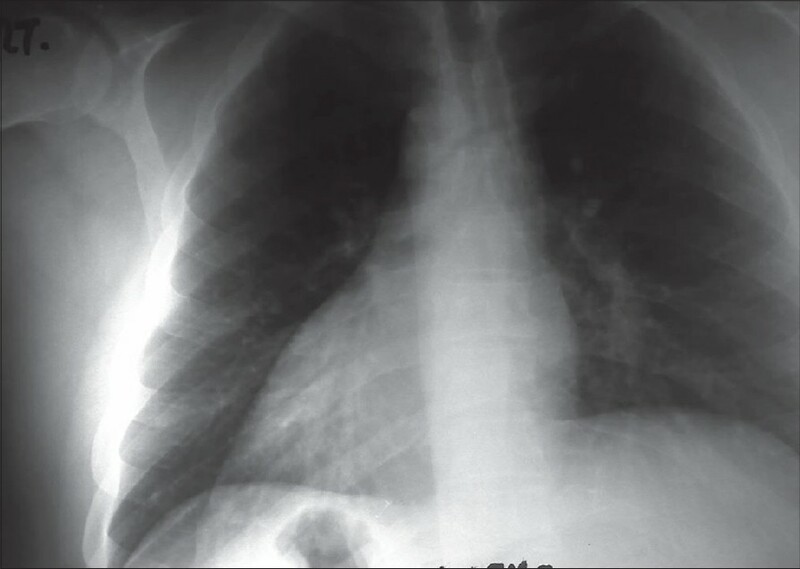 However, extension of pseudocysts into the mediastinum rarely occurs. In such situations they commonly present with chest pain or shortness of breath. We herein report the case of a patient with a pseudocyst presenting with dysphagia. The clinical presentation, current modalities of diagnosis and management of mediastinal pancreatic pseudocyst is reviewed in this article. 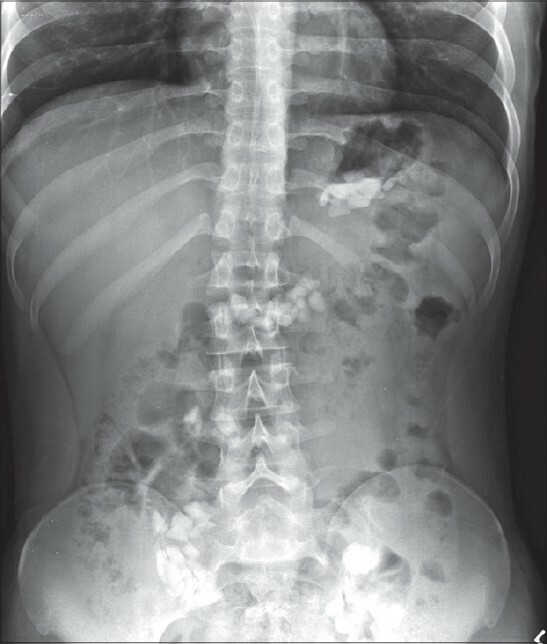 Situs inversus totalis is a rare defect with genetic predisposition that may present difficulties in the diagnosis and management of abdominal pathology due to mirror-image anatomy. 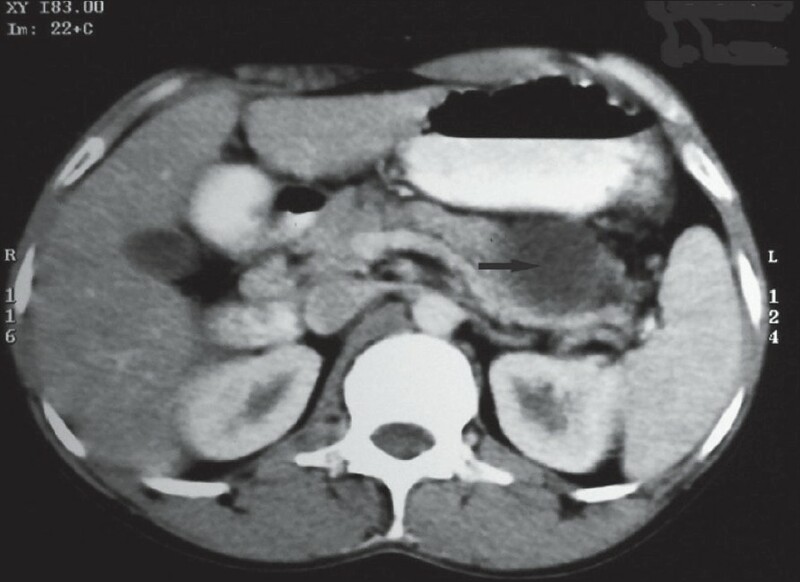 Occasionally, these patients may present with acute cholecystitis. Laparoscopic cholecystectomy is the standard treatment for symptomatic cholelithiasis; however, the technique has to be varied for the treatment of situs inversus totalis. 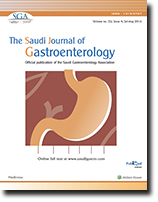 To the best of our knowledge, we report the first case in Saudi Arabia of a successful laparoscopic cholecystectomy in a patient with situs inversus totalis. The technique is presented and the pitfalls are discussed with a review of the relevant literature. Handlebar hernias are abdominal wall hernias resulting from direct trauma to the anterior abdominal wall. They usually result at weak anatomic locations of the abdominal wall. 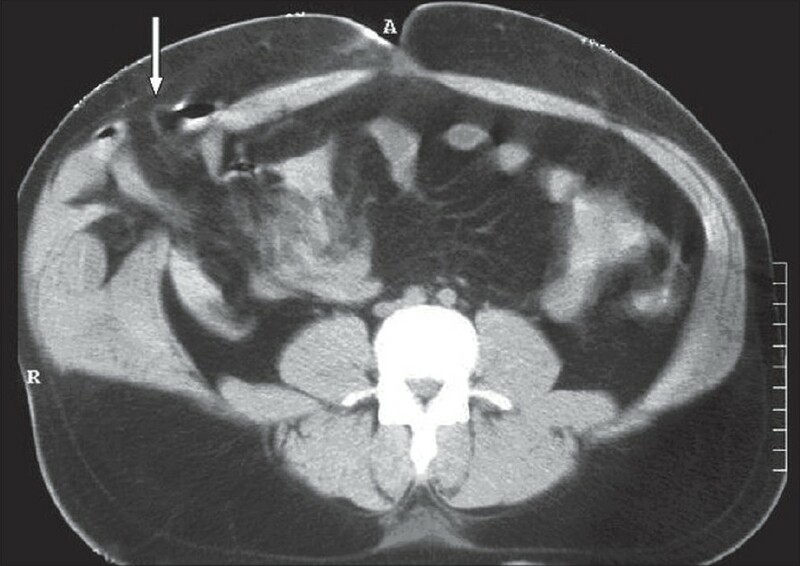 Such traumatic hernias are rare, requiring a high index of suspicion for a clinical diagnosis. We report the case of a handlebar hernia resulting from an injury sustained during a vehicular injury, and discuss the management of such injuries. We report a case of a 20-year-old male who presented with symptoms and signs of intestinal obstruction. The patient reported no previous history of abdominal surgery or trauma while clinical and radiographic examinations were not diagnostic. An open laparotomy was subsequently performed and the intraoperative findings were consistent with a congenital band extending from the antimesenteric wall of the jejunum to the root of mesentery. The band was ligated and divided with an uneventful postoperative course. Congenital bands are extremely rare. Their exact incidence is still unknown and usually observed in childhood. This case, therefore, represents an unusual surgical problem in an older individual in which the diagnosis was clinically unexpected. Management of advanced hepatocellular carcinoma (HCC) is still a challenge to physicians since these patients are not candidates for surgical or ablative therapy. The disease carries a very poor prognosis with an expected survival of 4-6 months. No chemotherapeutic agent has been proven to improve the clinical outcome in such patients. A multikinase inhibitor, sorafenib, previously tested and found effective in other solid tumors recently found to significantly improve survival in patients with advanced HCC. Sorafenib exerts its action through inhibition of several kinases involved in both tumour cell proliferation and angiogenesis. It was well tolerated at a dose of 400 mg twice daily and permanent discontinuation of the drug was rarely required. 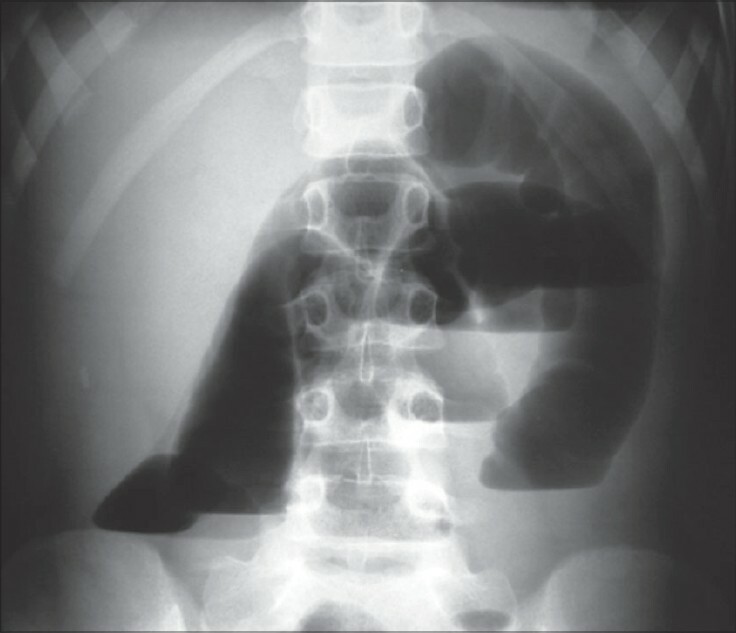 Spontaneous bacterial empyema, defined as spontaneous infection of the pleural fluid, represents a distinct complication of hepatic hydrothorax with a different pathogenesis, clinical course and treatment strategy from those of empyema secondary to pneumonia. Nearly 40% of episodes of spontaneous empyema are not associated with spontaneous bacterial peritonitis (SBP) or even ascites. The condition portends a poor prognosis, and is frequently under-diagnosed. This article reviews the pathogenesis, diagnosis and management of spontaneous bacterial empyema.